It’s shaping into an incredible indie filled day at Finsbury Park with a second wave of acts announced this week. Get your well-worn Vans, ripped skinny jeans and Strongbow Dark Fruits out; Community Festival 2019 is slowly turning into any indie kids dream. This week sees the announcement of the UK’s hottest and upcoming indie bands and artists, such as the foot-stomping Bedford rockers, Don Broco, who are seemingly on an unstoppable path to becoming the country’s most in-demand live act. 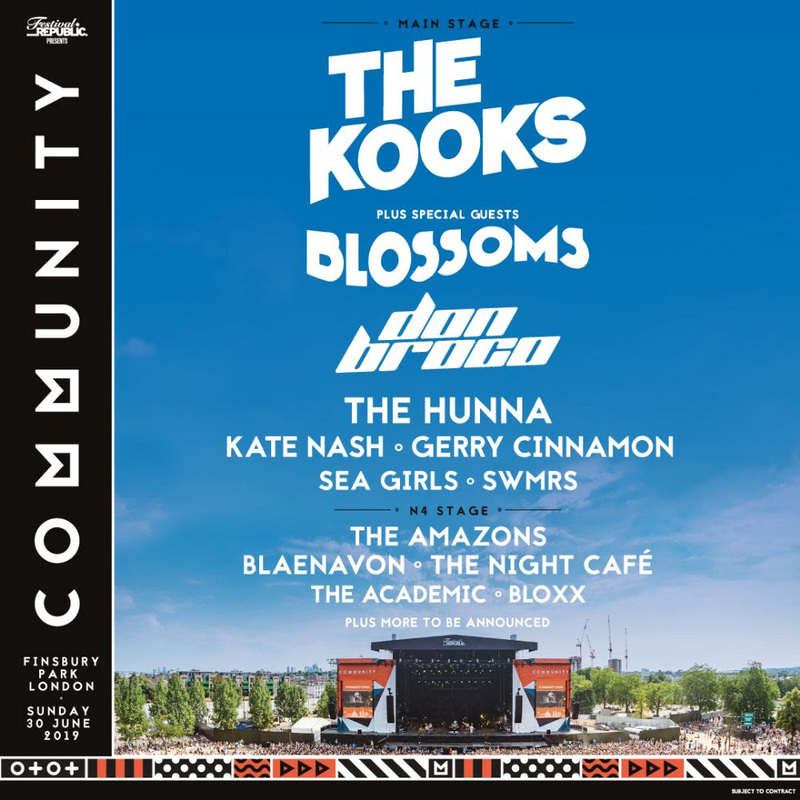 Blaenavon, who have finished recording their new second album ‘Everything That Makes You Happy’, are also joining the already buzzy line up featuring The Kooks, Blossoms and The Amazons. Also joining are US rock band, SWMRS, who are due to release their sophomore album next month and Heartfordshire’s own, The Hunna. Despite more and more talented acts being announced, tickets still remain at £40 - which, if you ask us, might be the best decision you can ever make. Wireless Festival 2019 sold out within hours!